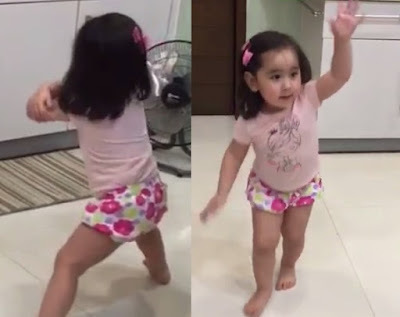 The video was posted on the instagram account of her mother Vicki Belo and it can be heard that the celebrity doctor was happily cheering while watching her daughter. "Since @justinbieber cancelled his concert maybe @scarletsnowbelo can take over . She has invented a new "move" called the wiggle wiggle. #despasito" she captioned.